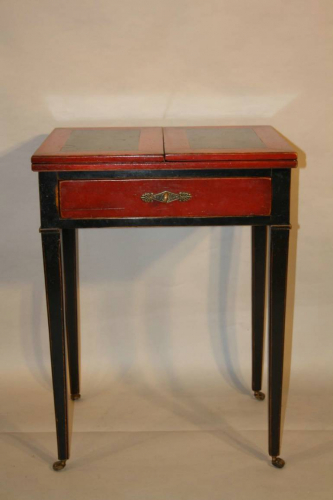 An unusual and charming petite table which opens out to be a writing table/desk/dressing table. Red and black painted decoration with black leather surface and drawer to underneath. French c1950. Width when open is 108.5cm.